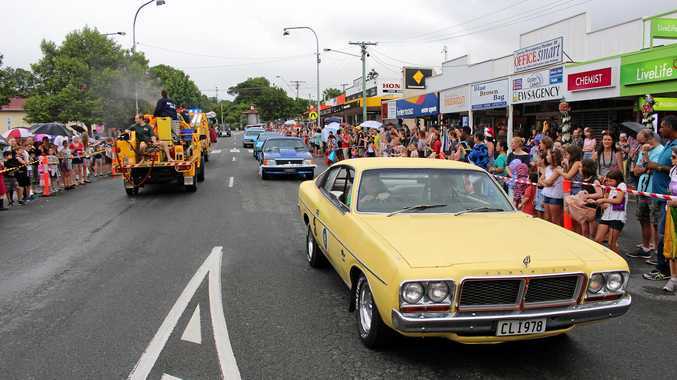 The street parade at Christmas in Cooroy. EVERYONE who attended Christmas in Cooroy was a winner. Thousands of people got involved in the free Christmas activities and enjoyed perfect weather and the amazing community spirit Cooroy is famous for. One very excited winner was Wayne Pendergast who had the winning ticket in the raffle for the Toro mower and pick it up last week from Dave Manktelow at Mower & ATV. A joyful Christmas twist is that Wayne works at Studio Steel and helped to install the beautiful Cooroy Christmas tree which was switched on by Haylea Rose who is celebrating five years cancer free this year and is a big fan of Christmas in Cooroy. The Leukaemia Foundation were winners too with over $700 raised via the Bentleys Great Santa Stroll. It was a sight to see with about 30 Santa suit clad walkers cruising up the main street of Cooroy. A Cooroy Chamber of Commerce spokeswoman said the Bendigo Bank Street Parade and the floats were of a spectacular standard again. Thirty businesses and community groups participated and the 'Past, Present, Future' theme was a big hit with young and old alike. "If you missed out on this winning event, there is still time for you to win with the Cooroy Family Practice Shop Window Trail,” she said. 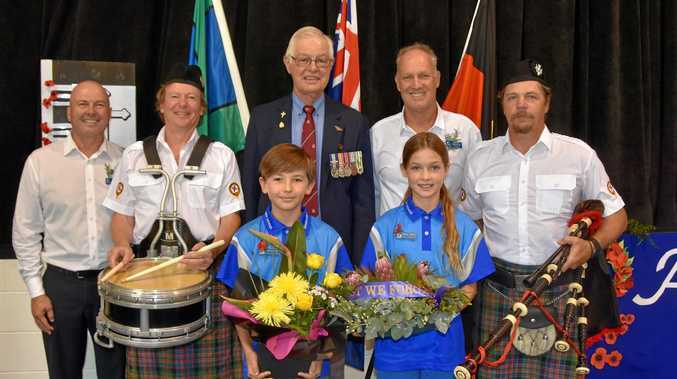 Christmas in Cooroy is hosted by the Cooroy Chamber of Commerce and the Rotary Club of Cooroy and would not be possible without the support of its volunteers and generous sponsors.